Holiday Heights Elementary fourth graders travel to Austin on an Education in Action Discover Texas Field Trip | Birdville ISD Blog! Fourth graders from Birdville ISD’s Holiday Heights Elementary traveled to Austin on an Education in Action Discover Texas Field Trip February 5, 2016 to experience what they are learning in fourth grade Texas History. 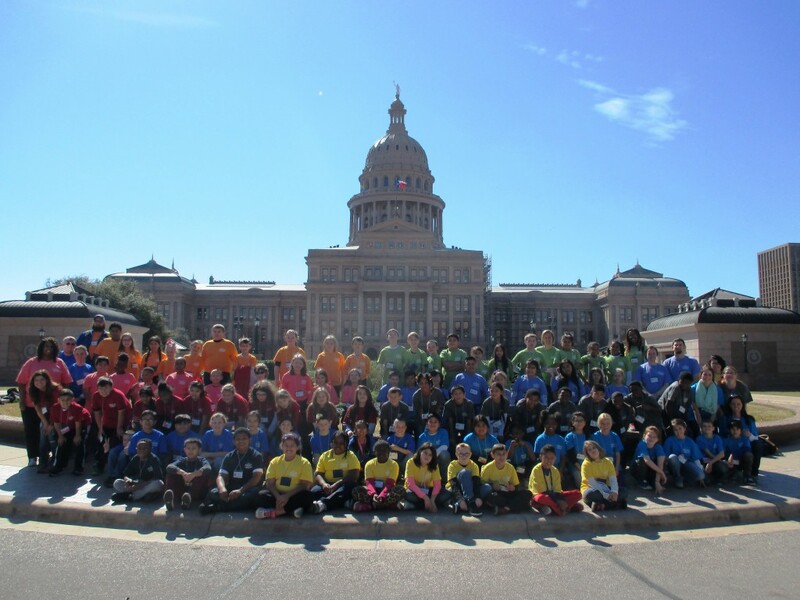 Students visited the Texas State Capitol and the Bullock Texas State History Museum. During the charter bus ride to Austin, students discussed why Texans are so proud of their unique heritage and participated in activities and games in preparation for their visit. In Austin the students visited the Texas State Capitol where their legislators, The Honorable Kelly Hancock, State Senator, District 9 and The Honorable Stephanie Klick, State Representative, District 91, office. Students saw first-hand where Texas laws are made as they toured the State Capitol including the Senate and House of Representatives chambers. At the Bullock Texas State History Museum students explored exhibits about Texas’s earliest inhabitants, the Texas Revolution, and events that created our Lone Star identity. The students’ visit to the museum concluded at the multi-sensory Texas Spirit Theater with the Star of Destiny where they saw and experienced the history of our great state including a gusher exploding from an East Texas oil derrick and the takeoff of Saturn V as seen from Mission Control at the Lyndon B. Johnson Space Center in Houston.